Then a thought occurred to him. “I will have to leave Kuzmir early Sunday morning in order to reach the convention in time. But what if, as is often the case, the Rebbe will not be available, and I won’t be able to take leave of the Rebbe? I might end up waiting around and miss my convention!” He began to have second thoughts. Afterwards, though, Mendel decided that he would travel to spend Shabbos with his Rebbe as planned. As for his concerns, he resolved that in the very worst case, he would just have to leave without taking leave, if such would be the way things turned out. And so, with great joy and anticipation, Mendel set out to the city of Kuzmir, to enjoy Shabbos in the court of his holy Rebbe, and – as well – hopefully to enjoy a successful business convention after Shabbos. “Reb Mendel,” said the Rebbe, citing the afformentioned pasuk (verse) in this week’s sidrah (Torah portion), “Hashem asked Moshe to join him on Har Sinai, ‘Ascend to Me, to the mountain.’ So why was it necessary to say afterwards, ‘and be there?’ Of course, if Moshe were to ascend, would he not be there? “However, you may know that our holy master, the Ba’al Shem Tov of blessed memory, constantly stressed the power of thought. A person, he taught, is wherever his thoughts are. If one finds himself in an unholy place, yet fills his mind with thoughts of Torah and of Hashem, then he is indeed in a very holy place, regardless of where his body may be. And, conversely, if one is in a place of extreme sanctity, yet his mind is filled with mundane thoughts, then he is not at all where he thinks he is. Hashem was telling Moshe: When you ascend the mountain, leave your earthly concerns behind. Be there – in mind and body. Needless to say, Reb Mendel cancelled his plans for the convention. It is interesting to consider what “foreign thoughts” Moshe Rabbeinu (our teacher) might have had. Was Hashem concerned he might, in the midst of receiving the Torah, daydream about the stock market? Highly unlikely. Moshe’s “business” was the Jewish nation. 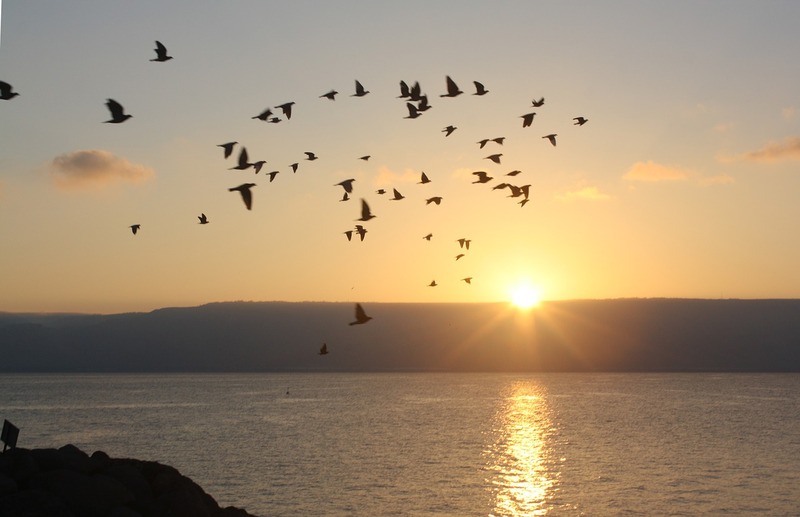 Perhaps Hashem was concerned that the shepherd’s thoughts might wander to his flock, and his mind would not be fully focused on receiving the Torah. Even such thoughts, however meritorious, had no place on Har Sinai. As Shlomo haMelech (King Solomon) puts it (Koheles/Ecclesiastes 3:1), “La-kol zeman ve-eis le-chol chefetz – There is a time for everything.” There is a time to worry about the nation, and a time to set aside those worries and concentrate exclusively on understanding the Torah. Hashem wanted Moshe to be there. Shulchan Aruch (the code of Jewish law – Orach Chaim 191:3) writes: “It is forbidden to perform others tasks while making a blessing.” Mishnah Berurah (a famous commentary on the Shulchan Aruch – ibid. 5) comments that this prohibition refers not only to strenuous forms of labour, but even to simple tasks, which do not require substantial concentration. One who does other things while making a blessing (or, as the Mishnah Berurah adds, while praying, bentsching [reciting grace after meals], etc.) demonstrates a lack of respect and significance for what he is doing, and for Whom he does it. It is evidently not important enough for him to give it his full concentration. This is one small way we can take the lesson of being there and apply it to everyday life. If we just tried to do the things we do every day with all our concentration; to really pray when we pray, learn when we learn, bentsch when we bentsch, and give others our full attention when we talk to them – how much richer and fuller our lives would be!